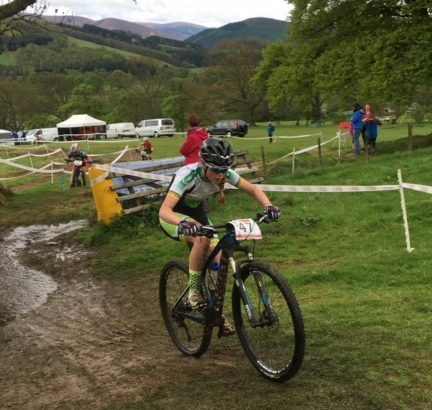 Caoimhe May (Scott Orwell) was over at the HSBC UK National Cross Country Series in Glentress, Scotland this weekend. 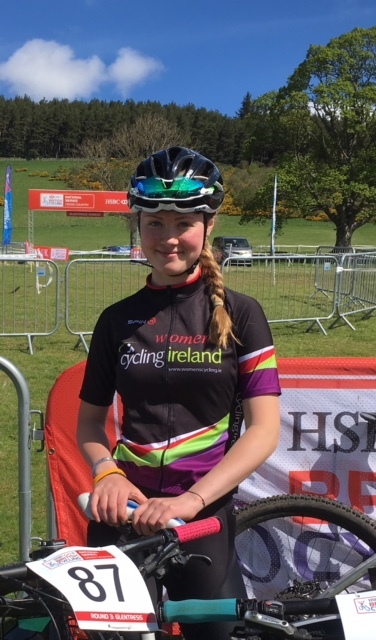 Over to Caoimhe for a race report! Race preparations started on Saturday afternoon after travelling across to Scotland the previous night. Thankfully we were blessed with sun so I headed out on my first practice lap of the course in shorts! I enjoyed the course with its technical sections including various A/B lines, and plenty of painful fire road climb. I have a brave side and a stubborn side when it comes to racing and this weekend my stubbornness came into action when I managed all but 1 of the A lines. In XC MTB A/B lines mean the A line will generally be the quicker line but will also be the harder line. The B lines would usually be the longer route choice but easier for those who can’t manage the A lines. The morning of the race was a bit of shock when I woke up to rain and a field full of puddles. It was safe to say I was even more nervous now than I was before not knowing whether the course would have changed drastically or stayed mostly the same. After practicing the course on a dry sunny day In my shorts I was warming up in a body warmer on race day :(. With about half an hour to go until my 9 O’Clock morning start I was feeling risky enough to take off the body warmer and stick to the short sleeves again, and I was glad I made that decision to say the least. I was gridded on the last row (a.k.a 2nd row) on the start line and when the whistle was blown to start off I went. The race was fairly straightforward and uneventful, with thankfully no mechanicals or crashes. However, on the last lap, about 15mins from the finish, I was caught by the U16 girl who was behind me – she passed me as I ran down the hill after getting out of the leadings boys way but got back on and chased her down as fast as I could. We came to the last A line, the rock garden, and I had gained on her again. She took the B line and I managed to pass her by taking the A line. I took no chances and it was all out from there til the finish. Coming into the finish field she was right on my wheel and much to my delight I beat her to the line to take 8th place. My goal for the race was to get a top 10 which I wasn’t hugely convinced I would manage so 8th place left me chuffed. I really enjoyed my weekend away and appreciated the opportunity hugely. It was a relief to get a weekend away before my Junior Cert this June and a chance to catch up on the girls I only see at races abroad. I would like to thank my mum Una May for her willingness to take me over and to the Women’s Commission for their very kind contribution to the cost of the trip. 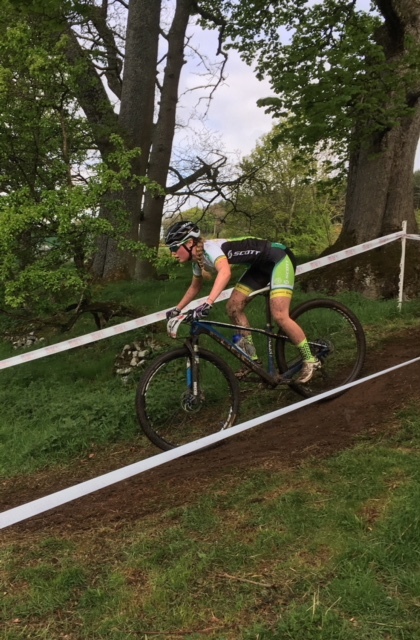 After not doing much mountain biking so far this season my ride and result boosted my confidence greatly making the trip even more worth while as well as a lot more competition racing against 15 other girls rather than 3 others back here at home! The Women’s Commission supported Caoimhe during this race.